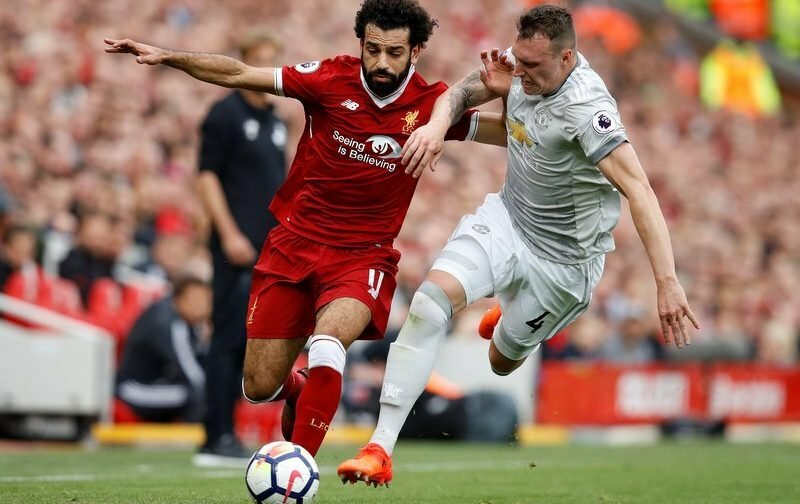 This weekend’s Premier League action kicks off with an almighty rivalry at Old Trafford, as Manchester United welcome Liverpool on Saturday afternoon (12:30). The Red Devils, who came from 2-0 down in the second-half, to defeat Crystal Palace 3-2 in the dying embers of the game at Selhurst Park on Monday night, sit just two points clear of tomorrow’s opponents in second spot. Meanwhile The Reds, who advanced to the quarter-finals of the UEFA Champions League, despite drawing 0-0 at home to FC Porto on Tuesday night, are unbeaten in their last five league outings, including three wins on the bounce. In the reverse fixture at Anfield, back in October, these two rivals played out a goalless bore draw on Merseyside, but with the stakes higher this time round at this stage of the season, with the runners-up place up for grabs this weekend, expect a more attack-minded approach from both sets of players. 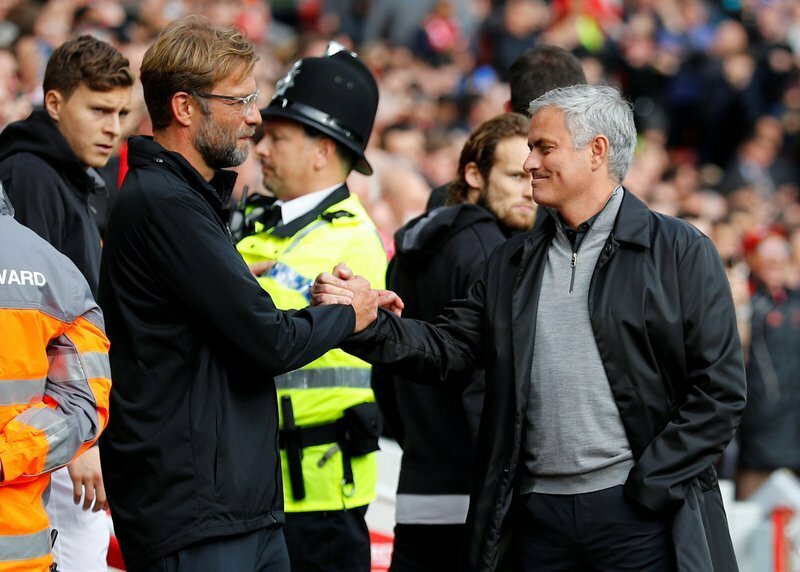 Liverpool manager Jurgen Klopp and Manchester United manager Jose Mourinho (right) shakes hand before October’s reverse fixture. Champions-elect Manchester City are more or less out of sight now, holding a huge 16-point lead prior to kick-0ff, with just 27 points left to play for this campaign.